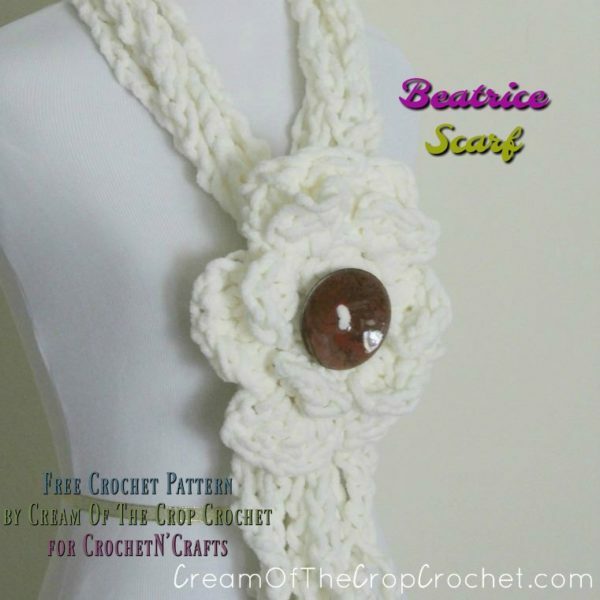 The Beatrice scarf crochet pattern is perfect for the upcoming spring weather. It’s simply made up of some chains that are wrapped around the neck and held together with a pretty flower at the front. 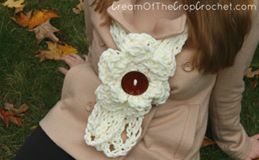 Use the same color throughout the scarf as shown, or crochet the flower in a contrasting spring color if you you like. Another option would be to use a pretty self-striping or variegated yarn. The patterns calls for a chunky yarn, which makes it quick and easy to crochet. Now from the bottom of the scarf slip the flower on the scarf with the loop on the back of the flower. You can also get creative with velcro! 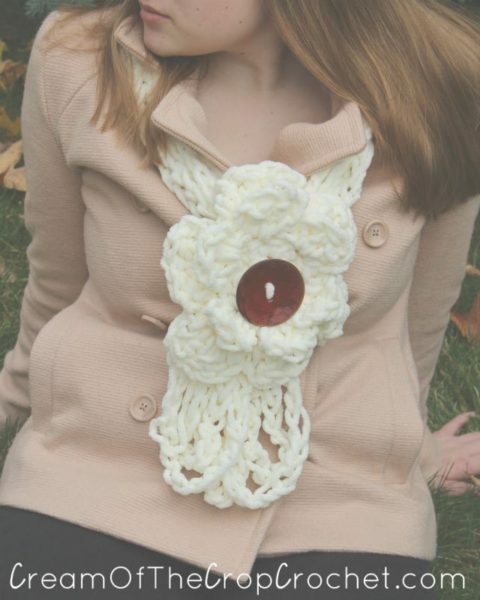 By making the loop on the back of the flower, you can adjust how lose or tight your scarf is. This will be a perfect birthday present for a dear friend. I can’t wait to get started.